We’re engineers, customer service representatives, accounting gurus, tech support superheroes, and more — but we’re also real humans. 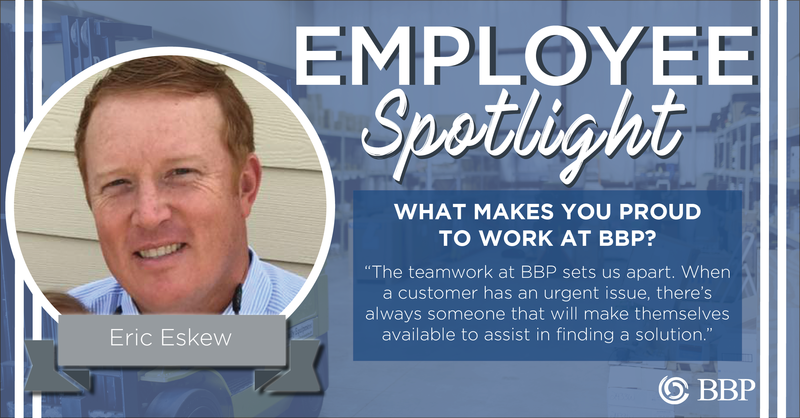 In our new blog series, “Employee Spotlight,” you’ll meet BBP employees, learn about their background and roles, and discover what they like most about working at BBP. 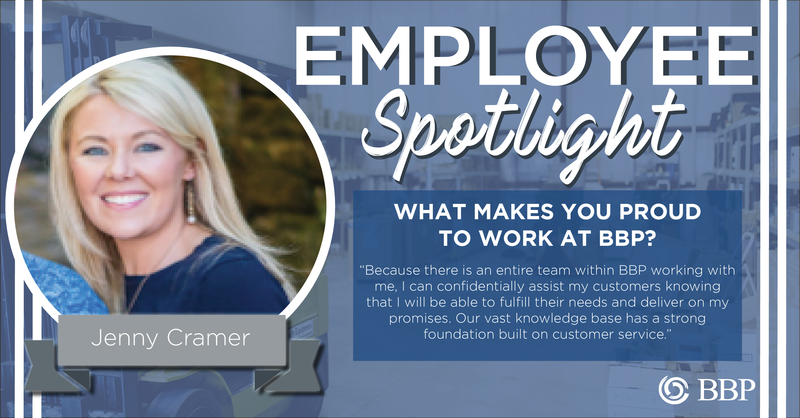 This week, the spotlight is on Jenny Cramer, an account manager in Greenville, South Carolina. Throughout her time at BBP, her can-do attitude and commitment to her customers have made her a fantastic asset to our team. Thanks for all you do, Jenny. Keep up the great work! How long have you been in the industry? I have been with BBP for 1.5 years, and before BBP I was in the electric motor repair industry. What do you enjoy most about your role? I have said this since being in the manufacturing/industrial world that our jobs are the real life “How It’s Made” and I feel I learn something new every day. I enjoy learning from and contributing to the process in a variety of industries. What makes you proud to work at BBP? Because there is an entire team within BBP working with me, I can confidently assist my customers knowing that I will be able to fulfill their needs and deliver on my promises. Our vast knowledge base has a strong foundation built on customer service. What is something that most people do not know about you? I grew up riding horses and competed in the Morgan World Championship Show in Oklahoma. Motto or Personal Mantra: Don’t tell me the sky’s the limit when there are footprints on the moon. What type of music do you listen to? I listen to everything! I’ve recently acquired a liking for country music. What advice do you have for prospective BBP employees? Work smart and stay curious! Register today! 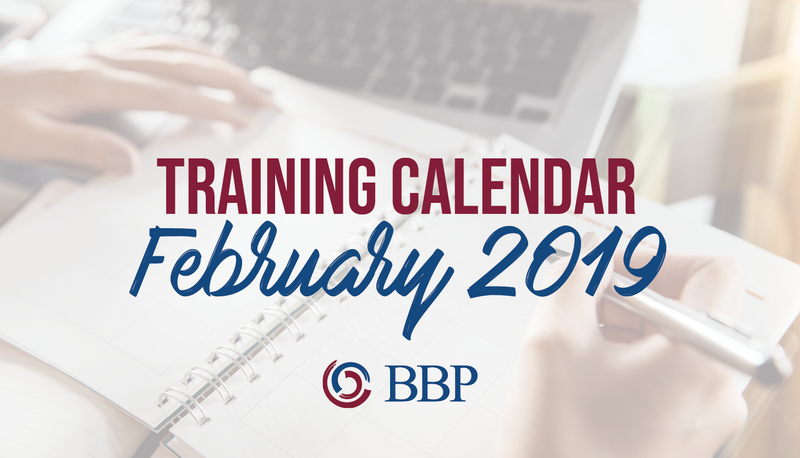 Training calendar for March 2019.